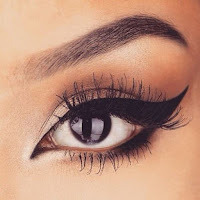 We often give tips about how to define your brows or apply mascara. Now I want to introduce you to another way to keep eyelashes and eyebrows looking great without daily effort. They are products from Godefroy. 28-day mascara is permanent eyelash tint that is a safe and gentle gel formula that delivers rich, long lasting color that lasts up to 4 weeks! It takes less than a minute to apply and is Cosmetology Board approved. The tint color is black. 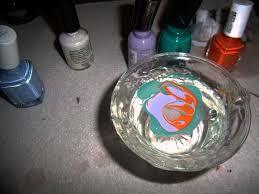 You do one eye at a time and brush on like mascara, applying first the colorant and then the gel activator. You can do both the upper and lower lashes. 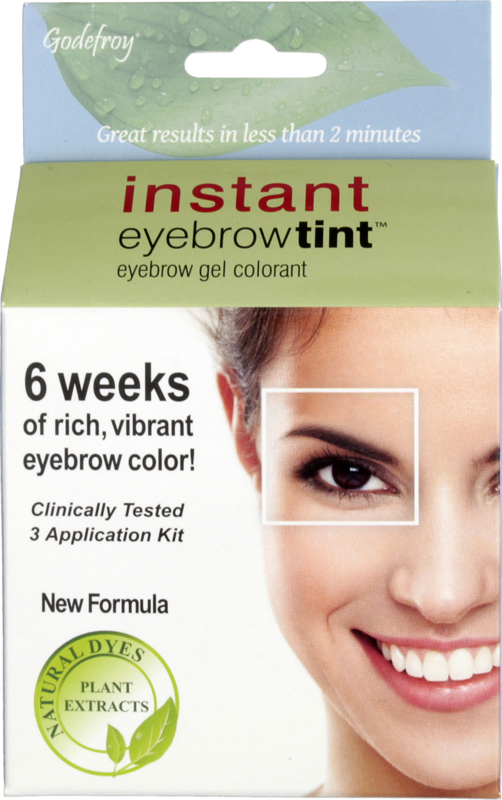 Instant Eyebrow Tint comes in four shades (light, medium and dark brown and natural black) and takes about two minutes. If you have stubborn grey hairs, it will take slightly longer. Each kit contains three applications. The color will last up to six weeks. 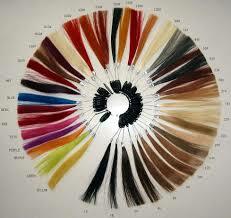 We say six weeks because eyebrow hair tends to recycle...hairs fall out and new ones grow. 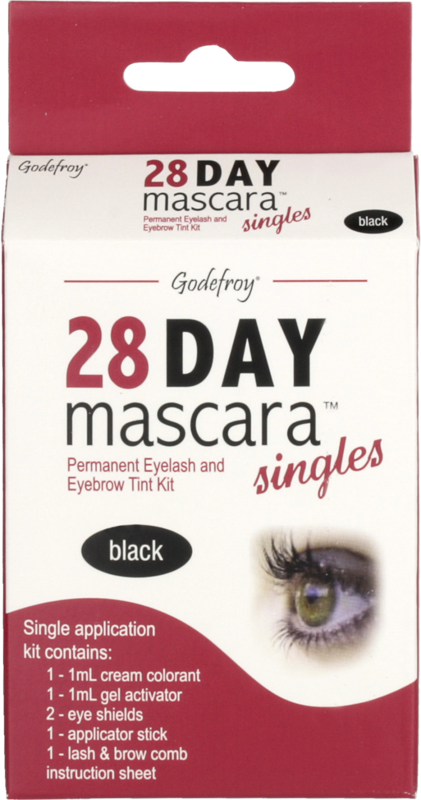 Godefroy also has a lash curling gel and tint colors for beards and mustaches! Take a look! Let's be honest - no one rolls out of bed in the morning with flawless hair. 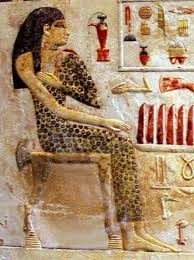 Most of us go to great lengths to achieve a hair style that makes us look and feel our best. There is, also, a far better chance of having a successful day if we feel good about ourselves first. So Glam On! Many cosmetic products come with a small "applicator" brush, so why invest in good make-up brushes? First, these small applicators do not give you the control you need. They also do not usually stand up to repeated use. A good make-up brush, designed for a specific purpose, will let you achieve the look you expected from the product. Quality make-up brushes are an investment you really want to make if you want to apply your cosmetics like a pro! Below are the must-have brushes you need to blend, highlight, and contour your face to perfection. A new you? Change-up your make-up routine with 3 little tips! For a modern take on luminous skin, try pearlized pink-sand shades on lids and cheeks. With a pale matte mouth, you'll look rock-club cool (and not too disco). Pair pink lids with a natural, understated face. Instead of shading hollows of your face, switch to highlighting. Using paler hues, accentuate under the brows for a mini lift, and dust a lighter blush along the cheekbone to plump cheeks. So, to answer the question...does it really work? Yes! That's the simple answer and there is lots of research to back-up the answer. So the next question is what/where can I get copper benefits in skin care products. Clinical CareConquer(Zit) MaskZit - Camphor Mask with Copper PCA is a top-notch copper-infused cleansing mask. If you want to start care early Clinical Care's Conquer(Zit) ToneZit with Copper PCA is perfect for oily and acne skin types. Okay...we love fashion! 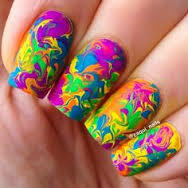 We love beauty and we like to think we are trendy! But the new eyebrow trends have us a little baffled. A well shaped brow can frame your face beautifully. Since eyebrows do frame the face, making them stand out makes sense. I'm just not sure I could achieve any of these looks, except the wavy ones....I do that automatically if I try to use the eyebrow pencil without my glasses on! Our last article dealt with hair bleached and tinted pastel. 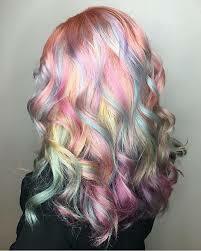 But what if you are not ready to commit to the "hair colors trend". 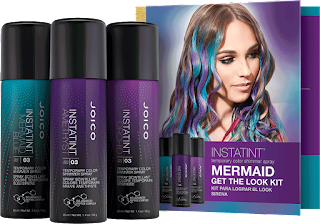 Then, Joico"s New Insta-Tint Kits are perfect for you. 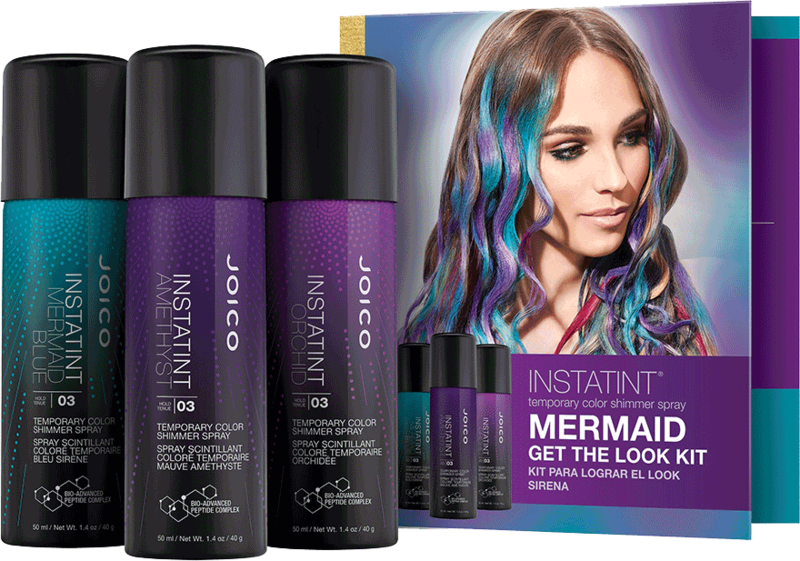 Joico's already put together three harmonizing Insta-Tint shades so you can't go wrong. Below, they show you how to create a unique look using stencils. Stencils are inexpensive...you can find them at any craft department...or you could make your own. The kits are great, but if you are more adventurous, each shade is also available on its own...Insta-Tint Temporary Color Shimmer Spray. Don't worry...they wash out easily!